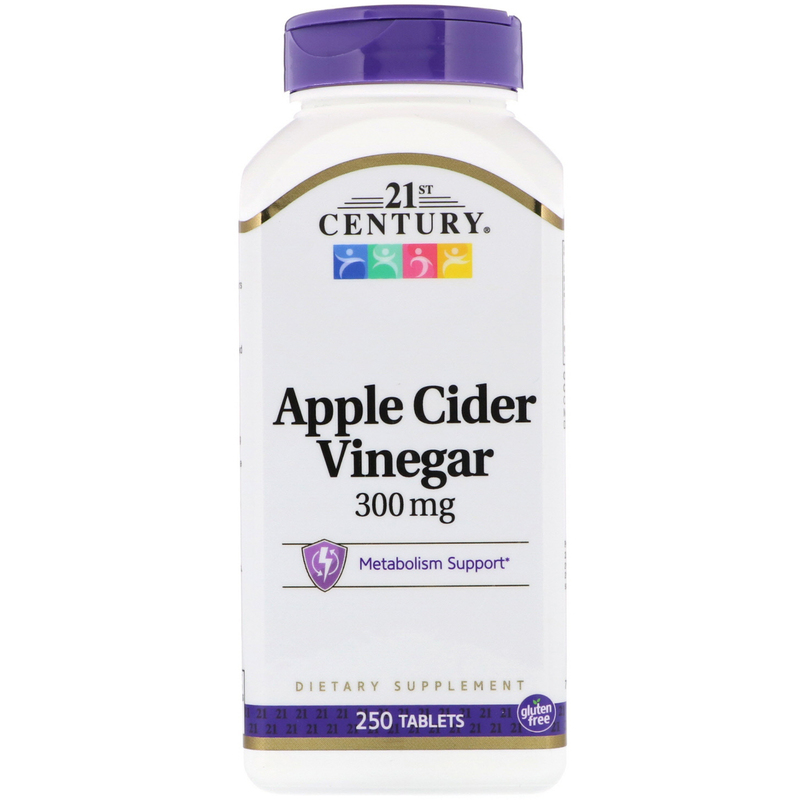 Apple Cider Vinegar has been used as a folk remedy for many years. This natural health tonic supports the metabolism of sugars and fats as well as aids the body in the cleansing of toxins. As a dietary supplement, adults take one (1) tablet after any meal or as directed by a healthcare provider. Do not exceed recommended dosage. Individual results may vary. 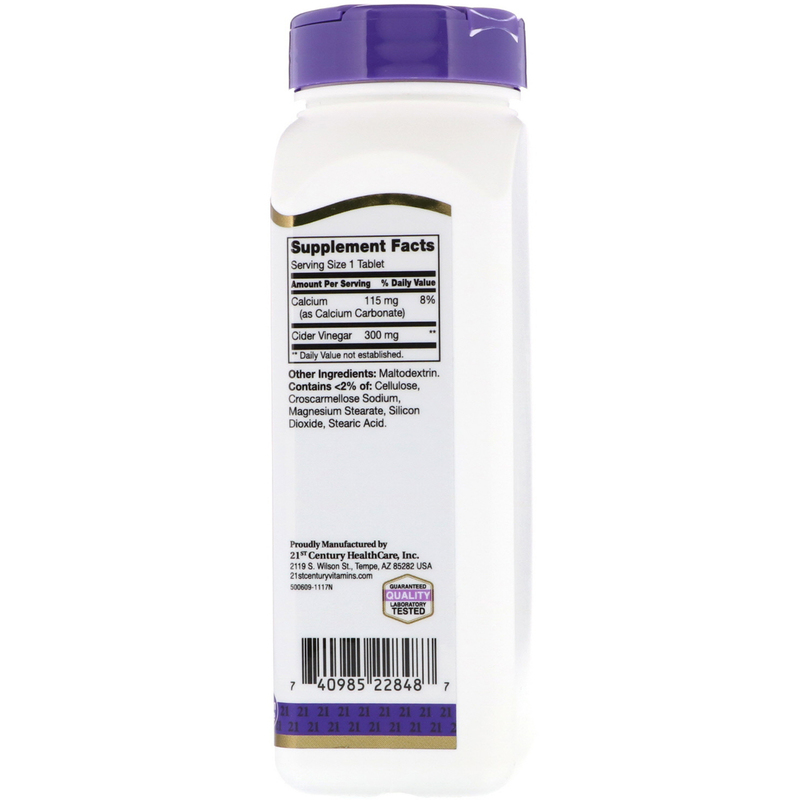 Contains <2% of: Cellulose, crosscarmellose sodium, magnesium stearate, silicon dioxide, stearic acid.